This 10mm Auto ammo comes in a cost-effective case of 1,000 and makes a great target load for your pistol and delivers reliable, accurate performance. 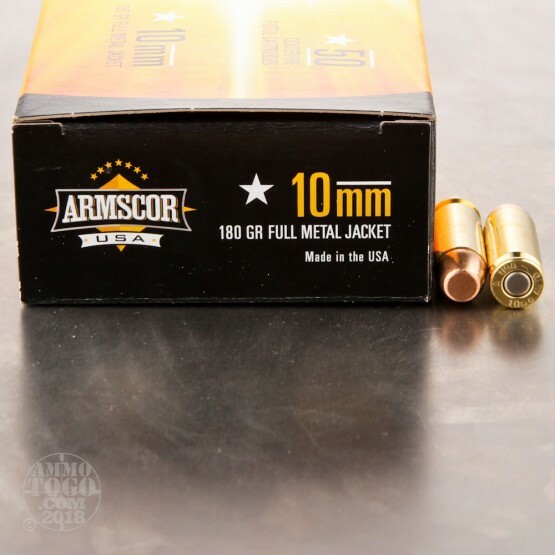 Each cartridge fires a heavy 180 grain full metal jacket bullet at a muzzle velocity of 1,150 feet per second. 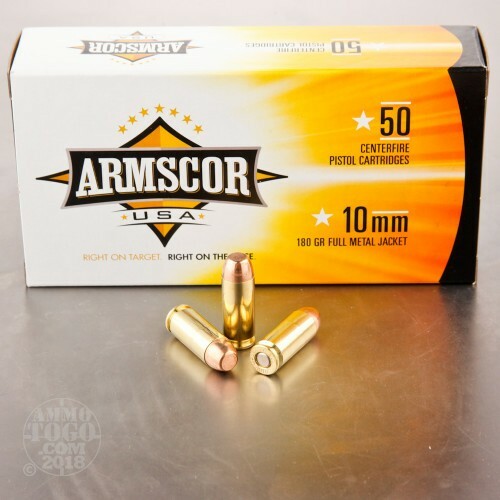 Like most 10mm Auto loads, these rounds will produce nice clean holes in paper target due to their flat-nosed design. 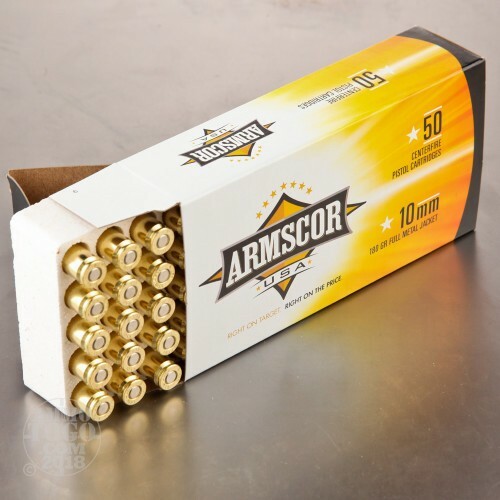 This ammunition is loaded in the USA by Armscor and uses non-corrosive Boxer primers and brass cases. 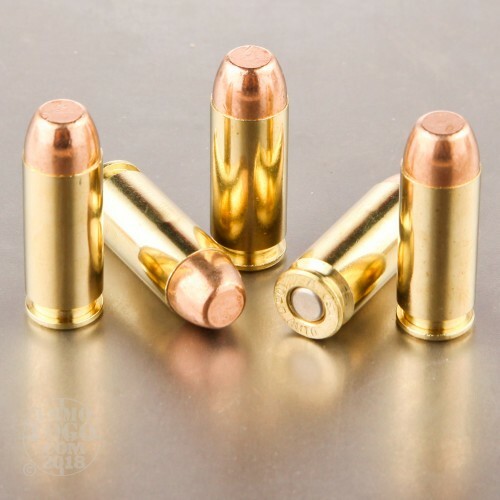 Nice shooting, clean burning no FTF's; all good!